The Mission of the International Golf Psychology Association (IGPA) is to share the knowledge of golf psychology with every golfer in the world. Our goal is help every golfer in the world have the best mental game so that they will play their best under pressure. Our mission is to help you develop a top rated mental game. We will share with the secrets of the mental game that all the best players on the PGA Tour and LPGA Tour use to play their best under pressure. You will learn all the essential mental game fundamentals as well as how to apply these fundamentals to your game. The IGPA wants you to take your best swings to the course and be the golfer of your dreams! 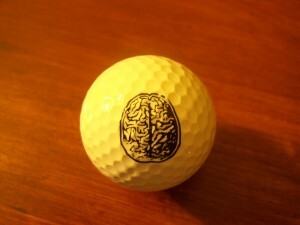 The IGPA also wants you to be a golf psychology expert and teach your students the secrets to the mental game. The creator and instructor of this course is Dr. Gregg Steinberg who is ranked by Golf Digest as one of the greatest golf psychologist in the world. Dr. Gregg Steinberg is the head sports psychologist for both the International Golf Psychology Association and the United States Golf Federation. Dr. Gregg is author of the best selling golf psychology book, MentalRules for Golf. He has spoken numerous times at PGA seminars about the mental game and how to become an effective teacher. He has worked with many winners on the both the PGA and LPGA tours. He has worked with such winners as PGA Tour winners Brandt Snedeker, Brian Gay and Chris Couch. He has also worked with NCAA champion collegiate teams as well as top ranked juniors. Dr. Gregg currently writes the mental game column for the PGATOUR.com and does a weekly sports psychology segment on “Talk of the Tour” heard on PGATour.com. Dr. Gregg Steinberg is a motivational business speaker as well who shows corporations the secrets to mental toughness. Dr. Gregg has appeared numerous times on the Golf Channel to speak about sports psychology issues in golf. From his experiences, Dr. Gregg will help you to become a golf psychology expert and learn the secrets to the mental game. Dr. Gregg lives in Nashville TN with his wife and young son. Our mission is to help you develop a top rated mental game. We will share with the secrets of the mental game that all the best players on the PGA Tour and LPGA Tour use to play their best under pressure. You will learn all the essential mental game fundamentals as well as how to apply these fundamentals to your game.